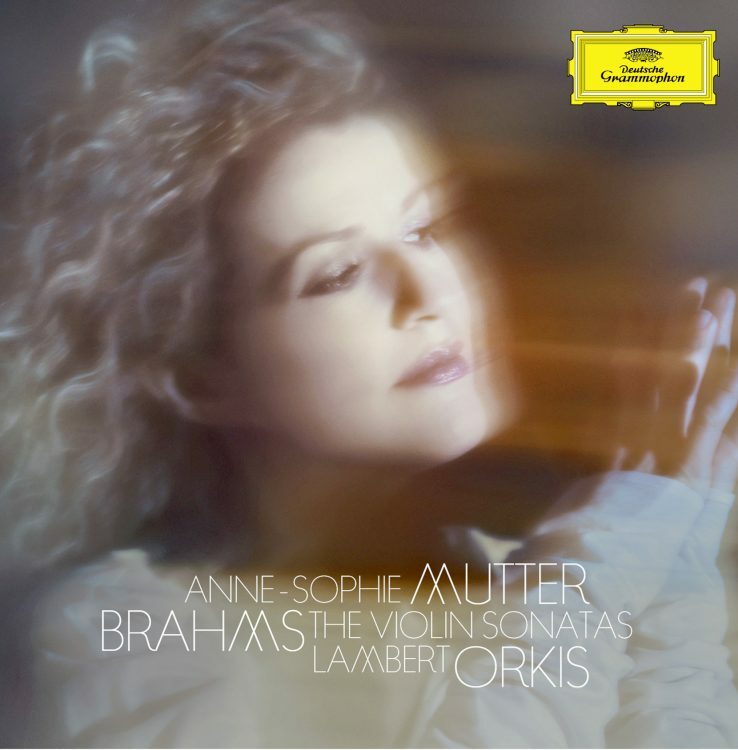 Mutter and Orkis talking about Brahms Violin Sonatas – 2010 "...not showing off"
Anne-Sophie Mutter: The first time I came across the Brahms sonatas was very much at the beginning of my musical life, I’d just started to play the violin. I was five and a half years old, and David Oistrakh visited Basle. He was playing the three Brahms sonatas with Frieda Bauer, I was totally immersed in the music. And it was not only David Oistrakh’s personality, the warmth of sound and the lushness of expression, and of course the love for the violin, which was deepened by this concert, but it was Brahms’s music which was engraved from that moment on as something perfectly suited for the violin, understanding the singing quality of this instrument. When I was fifteen or sixteen, I started to play the Brahms sonatas. There have always been cycles in my life where I’ve dedicated time to one particular composer, like the Mozart cycle we did a few years ago, or the Beethoven cycle in ’98. So there was this period in my early teenage years where I was very dedicated to Brahms – the Violin Concerto, the Double Concerto, because I recorded them with Herbert von Karajan, and the Brahms violin sonatas. Lambert Orkis: As far as my first experiences with the violin sonatas go, it was not so much of a listening but a playing experience. It was at Curtis. I was a young man, maybe fourteen or fifteen, and a fellow student needed a pianist to read through the “Rain” Sonata for his lesson. I went in there basically thinking I was going to sight-read this piece. And it was: Oh, my! This is more than I bargained for. Brahms’s pianism is very rich. I didn’t know then but realize now that it was very much influenced by his choral writing. The voice-leading is fantastic in Brahms. And don’t you find that these sonatas are quite different from the Beethoven and Mozart sonatas for the same combination? It’s not that there’s a lack of dialogue, but there tends to be more of a realization of what each instrument is really best at doing. And he certainly knows how to create moods using the various abilities of the instru¬ments. You can whisper so much. The piano can whisper, too, but I also have the pedal to create this almost Impressionistic gloss. And those moments of quiet, when that whispering comes in with this kind of mist that the piano’s capable of creating, that’s Brahmsian. Anne-Sophie Mutter: Beethoven was a rotten composer for the fiddle in terms of com¬fort. But Brahms really knew how to embrace the violin, and he learned quite a bit from knowing Joseph Joachim from the age of twenty. Lambert Orkis: However, Brahms was a pianist, not a violinist. It’s a kind of truism that Brahms’s piano writing is not necessarily pianistic. In fact, in many ways it’s considered clumsy. There are just fistfuls of notes, and they don’t serve any kind of self-glorification. Rather, it’s serving musical functions. And Brahms would send these sonatas to Clara Schu¬mann. He really trusted her instincts. With the D minor Sonata he goes so far as to say that, if you don’t like it, I won’t play it. Of the three sonatas, that is probably the most complex for the piano, especially the first movement and the last movement. Anne-Sophie Mutter: I can’t say which of the three sonatas is the most difficult one for me as a violinist because each has its very specific characteristics, which you have to meet. Anne-Sophie Mutter: That’s true, because I have to play it so delicately that the horse hair of the bow is very much under the influence of humidity. Lambert Orkis: That influences my playing of the G major as well, the last movement with those very delicate raindrops: if the humidity rises or falls, it can really affect how the repetition on the piano works. People ask why we rehearse so much: because of these changes. Anne-Sophie Mutter: To me, the G major holds a very special place because it’s such a private piece; it uses Clara Schumann’s favourite Regenlied punctuated theme for all three movements. Clara had just lost another child, and her son Felix had tuberculosis. So she was in a very bad state of mind, and Brahms wanted to give her this sonata to comfort her. Lambert Orkis: He sent it to her, and apparently she was so taken with it that she was in tears. Anne-Sophie Mutter: The A major Sonata, which was written eight years later, is much sunnier. Brahms had his eye on a soprano and was once again on vacation on Lake Thun. He was tremendously fond of composing while on holiday. All three sonatas were written in this way. The A major Sonata is very open, very joyous, the exact opposite of the G major piece, with two very difficult Vivaces and a wonderfully cantabile final movement that sounds almost like a welcome greeting to Frau Spies, whose arrival he was expecting. The D minor Sonata was begun at the same time and can be described as a concerto for violin and piano, with very dark features, almost demonic, a wonderful Adagio, an eerie Scherzo and a Presto just like a tornado, which Lambert and I regularly throw ourselves into at the end of a long evening. Lambert Orkis: There’s more complexity in a certain way in the D minor, and maybe he’s getting more clever with the use of his materials. Brahms has always been somewhat clumsy for the piano. In the D minor Sonata he achieves his musical demands with the usual great leaps on the keys and lots of big chords. But it’s written in a much more masterly fashion. It’s as though he has finally discovered a better way of achieving his musical goals. 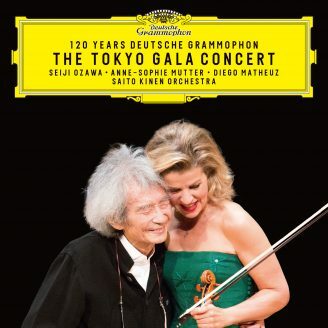 Anne-Sophie Mutter: For the violin I can’t say such a thing, it’s just as equally perfectly shaped, maybe because it wasn’t his instrument and Joachim was such a tremendous influ¬ence. We have played these sonatas for twenty years. Of course, my view of Brahms, my view on anything I play today has changed. I have a deeper understanding of music and, if you want it or not, life does leave its marks not only in your brain but in your heart and in your soul, the understanding of things deepens. And in the case of the sonatas I do see in the interaction between us much more awareness for details, for sound colours, for interwoven dialogues. Lambert Orkis: We’ve learned them, we’ve lived with them, and we’ve played them on various continents together, and we go through life experience, and now we’d bring it all to this music. Brahms is a composer who’s not showing off: he’s showing life, beauty, art. It’s wonderful. The conversation was recorded on 4 December 2009.